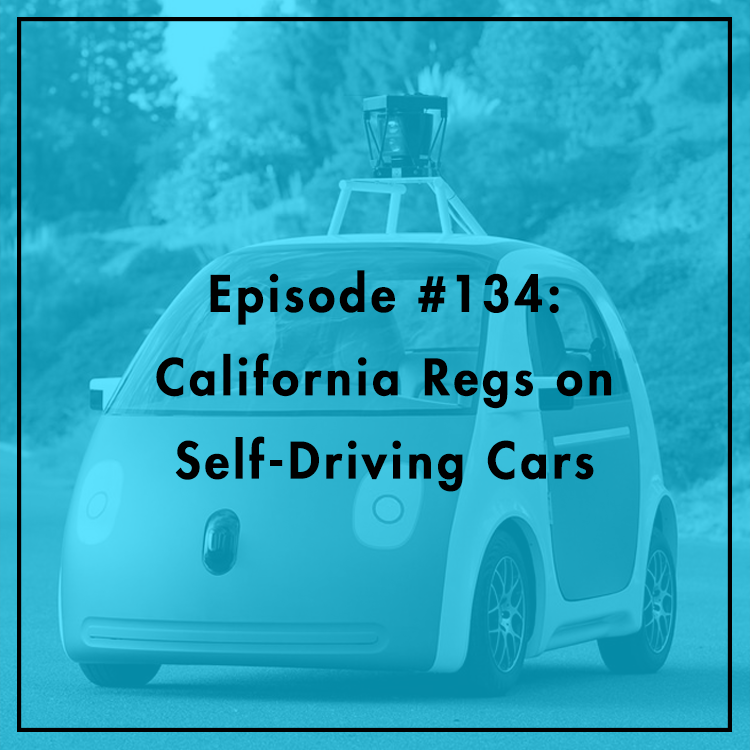 Recently, the Obama administration released non-binding “guidelines” for self-driving cars, telling states not to create their own regulations just yet. California went ahead anyway, and the Golden State’s DMV drafted new regulations based on the National Highway Traffic Safety Administration’s (NHTSA) guidelines. Did California jump the gun? What changes could the DMV make to improve the draft proposal? It’s open for public comment, and several organizations have weighed in. Here to discuss their joint comments, co-authored with R Street and ICLE, are Marc Scribner, research fellow at CEI, and Berin Szoka, President of TechFreedom.